A debut collection of short stories from the National Book Award-winning author of The Good Lord Bird. 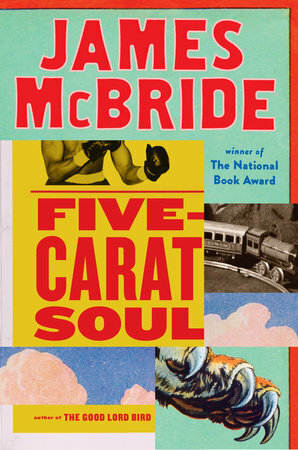 ...with the collection Five-Carat Soul, McBride demonstrates a new aspect of his talent. These brilliant miniatures display all of the rambunctious fearlessness of his deeply empathetic imagination ... The result is a pinball machine zinging with sharp dialogue, breathtaking plot twists and naughty humor. This makes Five-Carat Soul a delight. At the same time McBride also plumbs the vast emotional terrain underneath performances of masculinity, questioning what it is to be a man rather than a woman rather than a boy rather than a beast ... Nearly all of the stories hum with sweet nostalgia, and some even dispatch the kind of moral one would expect from a fable or a fairy tale. When this works, it feels as if McBride has happened upon a new genre ... we see McBride at his brave and joyous best, building worlds of dizzying variety and range. The writer and musician James McBride proves once again that he is a master conjurer of African Americana with his new book of charmed, imaginative short stories, Five-Carat Soul ... Full of humor, down-home vernacular and slightly twisted nostalgia, McBride’s coming-of-age stories about this crew’s adventures go down like warm milk sneakily spiked with a shot of whiskey ... McBride is at his best in this off-kilter mode. Last year’s nonfiction offering, Kill ‘Em and Leave, saw McBride recounting his investigation into the life and times of the Godfather of Soul, James Brown, with similar gusto and flare. He just goes for it, and the results once again are funny, strange and touching. Anyone who enjoyed James McBride’s The Good Lord Bird, the swaggering picaresque about a runaway slave that won the 2013 National Book Award, will be instantly at home with the stories in his new book Five-Carat Soul ...motley collection wields the same narrative bravado and acerbic sense of humor to peek at American history from unusual angles ...centerpiece is a quartet of stories set in a poor neighborhood of Uniontown, Pa., around the time of the Vietnam War ... 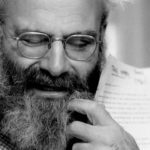 The book’s single fault is that these characters are so engaging and their world so richly conceived that the four stories only whet the appetite for more. What did you think of Five-Carat Soul?